Support the Triangle’s Creative Community! I have a favor to ask. My friends over at Triangle ArtWorks are one of three finalist for Triangle Community Foundation’s (TCF) “What Matters” Innovation Award and they need your vote! 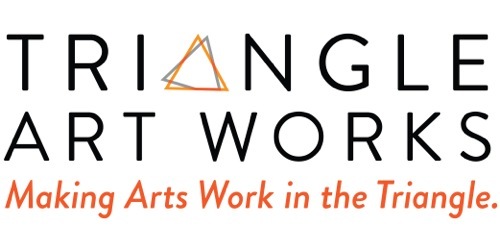 Triangle ArtWorks provides the services, support and resources necessary to cultivate and ensure a vibrant creative community in the Triangle. Earning the TCF “What Matters” award will help provide funds for them to continue this important work and provide them with some very well deserved and valuable exposure. To learn more about Triangle ArtWorks and the breadth of its mission and programs, visit their site here. The TCF “What Matters Award” recognizes organizations that serve and advocate, build networks within the community, and inspire others to get involved with creating lasting, large scale social change in the Triangle region. For more information visit their website. Voting starts today, Monday March 17 and ends at midnight on Sunday March 23rd. Please also share this link on your social networks and encourage your friends to vote for ArtWorks every day! You can vote once a day, per device . When it comes to arts and culture, ArtWorks is simply doing the most innovative work in the Triangle. They are changing the way the arts business works, making it more collaborative, and more of a player in the regional business community by providing the business resources, network and advocacy it needs to be more financially sustainable. A stronger arts community makes the Triangle a more vibrant and creative place to live, work and start companies. Please join me by supporting Triangle ArtWorks and VOTE. done, and shared on Facebook!